It is the title. The answer to the question what is the first jarring thing about this album is obvious. Unfulfillment is a very peculiar word for native and non-native speakers of English alike. Not that it is at all difficult to grasp the concept, but it is so very circuitous. Ray Wilson gives us a hint: Things are never finished, never complete, never simple, never contented. Unfulfillment is the sixth album with new music by Wilson since his brief stint with Genesis. He had made three pure solo albums (Change, The Next Best Thing and Propaganda Man) and now brings us the third full band album (Cut: Millionairhead, SHE and now Unfulfillment). Unfulfillment has become a Stiltskin album. This means more guitars in general and most of all other musicians. Uwe Metzler is back and Peter Hoff has (co-)produced the album again. Along with Ray Wilson both of them make up the team that has written the twelve songs. Scott Spence, who provided songs like Taking Time and She for the SHE album, has not contributed anything that made it to the album (see our interview with Ray Wilson from August 2011). The biggest difference between the band albums SHE and Unfulfillment is that what you hear on Unfulfillment is played by a proper band, by Ray's band. SHE had a number of compromises; for example, the drummer, Nir Z, never was in the studio in Stuttgart. This is different in 2011. Ray has recorded the album with his band, and the band are finely attuned to each other. There are other changes, too: Nir Z is not on the album, and for the first time there is a string ensemble on every (!) track. This may initially seem out of place on a Stiltskin album, but it makes sense. Many fans may have been surprised at how consistently Ray has been developing his Genesis concert concepts. 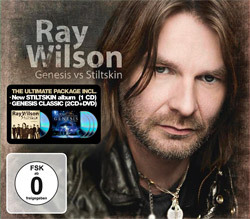 These very Genesis Classic shows, however, have enabled Ray to expand his musical capabilities and his abilities as a producer. The use of string arrangements on a rock album seems like a logical continuation from those projects. Ray describes Unfulfillment as „somewhere in the middle“ between Propaganda Man and SHE. Not only the music, but also the lyrics have changed. Earlier albums mainly featured „boy meets girl“ stuff with rarely a song that vents social criticism. Young Ones was one of those, Beach came later. Unfulfillment has assembled almost only songs that have nothing to do with the boy meets girl relationship things. That, too, is probably logical. After all, Propaganda Man was something like Ray's Face Value – a divorce album. Unfulfillment contains many statements, philosophical approaches, some of them about relationships, but then it is rather „boy lost girl, so what do I learn from that“. Ray also addresses social topics of a more serious nature. In short, he has much more to say than „I love you“. „Whether this is the album that makes a difference to my life or not I don't know“, says Ray in our GNC interview, and adds, „but it certainly is something I'm very happy with“. Let us, then, take a look at the whole package. Since Change, Ray has a good hand at picking the perfect opening song. He chose an aggressive Fly High for SHE and pointed out the direction the album would take. Accidents Will Happen is less heavy, but all the more aggressive. It is not an über-song, but it gives you a good idea of what you will be hearing on Unfulfillment. The guitars are medium-heavy, the feeling first relaxed, then charged. The song is about the failure or risk of failure of a relationship, and about the idea that you have to deal with your mistakes past, present and future. The album continues a bit more aerily. More Than Just A Memory is something like Unfulfillment's Lemon Yellow Sun. The chorus is really catchy. More Than Just A Memory has a similar approach than Accidents Happen, but it is more about the good things in life and does not focus on relationships but the whole structure of life and why optimism is so important. Perhaps it is the continuation of Gouranga, the song with which Ray found himself again and went on to write Change. Acoustic guitars, a noticable string arrangement, narrating vocals by Ray, increasing intensity, melodies growing more accessible. It is as if Ray had invented the prototype of a modern rock song. The 7th Day is the first surprise. One would have expected this rather on a Wilson solo album for one thing, and it shows Ray leaving the traditional patterns of songwriting prepared to not please everybody. And that is how it is going to be. The 7th Day will not be liked by everybody, but it will make them think. The first single of the album is the perfectly arranged American Beauty. This up-tempo song has as much potential as Change or Show Me The Way from SHE; hardly anybody considered the latter song hit material at the time, though. The song is exquisitely produced and illustrates how well the team of producers worked together. American Beauty could be about a lot of things; social disruptions may be the closest thing to the truth. It is left up to you to decide how deep this goes and what Ray is really on about. "Hey Ma! I wanna be a rock star!“ Many youths have said this to their mothers. It is a simple song with a straightforward message: Believe in your yourself and it will work. There is also a second message to those who do not believe in one. Voice Of Disbelief is one of the candidates for a single release. Initially, First Day Of Change was going to be the first single. That has changed, and it was a good decision. First Day Of Change is a grandiose song that Genesis fans in particular will enjoy. There is a melancholy weight to it, some meandering, excellent instrumentation and another set of lyrics about the possibilities of change. Ray has written several songs about it. First Day Of Change is a gem on this album, not least because of the intense string arrangement. But it is not a single. At least not a first single. The first piano notes sound exactly like the first piano notes from Cool Water. Intentionally or not, it is a great effect. What follows is a kind of symbiosis of Carpet Crawlers and Show Me The Way. Ray played a stripped-down version of this song on some of his concerts earlier in 2011. It tells the story of a talented young woman who, for various reasons, cannot move away from her small town home. In the Unfulfilled interview with us he revealed why he sings about a 'small town at the eastern side of the Elbe' river. Tale From A Small Town works wonderfully in the band version. The keyboard theme by Peter Hoff and the musical tension between piano and strings is most remarkable. A birth date? Another important date? It remains unclear. The song is about loss, about wanting to keep something and romantic transfiguration of (old) age. Many things we once experienced as a huge burden or a huge loss meld away with time into a part of life experience that can be a positive thing. „I wanted to belong to you. But I was too young“ - whatever Ray means, whatever is hiding behind this date, many Genesis fans will hear exactly that time from the lyrics. Musically, this song reminds the listeners of Summer Days from the previous Stiltskin album. 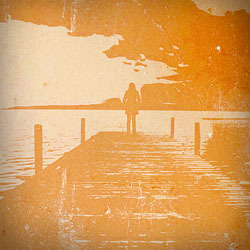 It is more melodic and perhaps a real rock ballad in the vein of Shipwrecked. A song to sit back in your armchair and ponder things. It is so easy to think of the previous Stiltskin album when you read this title. 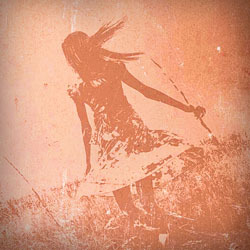 She Flies could be the motto of the whole Unfulfillment album. But any links of that kind are incidental. She Flies has interesting sounds in its intro, a style element that can be heard in many songs on the album. You hear Ray's voice distorted in the background before the song really begins. She Flies is, musically, a continuation of the song before that. It is not a terribly exciting song or a really rocky one, it could in fact have been on a Ray Wilson solo album. Note the different ways in which Ray's vocals can be heard: now it is distorted, then normal, then deep, then high. Ray has really matured as a singer. She Flies is one of the songs that will take longer to make it to heavy rotation. It may perhaps be not quite on a par with many of the other songs on the album, and that is probably so because of the unexcited mood of the song, but there is a fine guitar solo towards the end. This song is once more about loss, but Ray does not explain how it came about. As we approach the end of the album the songs become more demanding. You could also say they became more progressive and certainly longer. Guns Of God – the title itself make one want to hear this song. The combination of the words „gun“ and „god“ make everyone think of the many wars that have been and are being waged because of religious issues. This is more or less what the song is about. Ray was inspired by the events in the Middle East. He does not mean to support any political „side“, but points out that he considers it wrong for a democracy to send young people to jail because they do not want to join the army. Killing on the whole is wrong, and killing because of god is a contradiction in itself. That is the central point of the song. The statements that can be heard during the song come from the website www.december18th.org, and it is the Israeli Conscientious Objectors who inspired Ray to write this song. Musically it is pure rock with some progressive elements. Ray's gloomy vocals, the dark guitars – Guns Of God is absolutely not a song to lift your spirits. No wonder with such a topic. Guns of God is a hard nut to crack, as it were. It is also one of the highpoints on Unfulfillment. Things become even more progressive in this song. Whether he planned it this way or not, Ray has saved the tricky songs for the end of the album. It becomes clear why Unfulfillment is a more mature album than She. 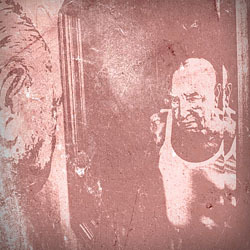 Old Man And The Portrait is not a straightforward rock song. It is about aging, experience of life, serenity of the old. „I found no good in anything or anyone at all – until it found me“. Add a piece of advice to the youth: „keep an eye on the sideline“, and one could think Ray was going through his midlife-crisis. Ray discusses social stress, the forcing of things, e.g. behaving like a 12-year-old when you are 41. „Good things come to those who wait“ may be contradicting the philosophy behind the album title Unfulfillment, but it is a fitting ending. "Good things come to those who wait" - this line from the last song on the album is a good summary. Ray's new Stiltskin album is more than just another rock album. It is a musical statement, a declaration of maturity. You have to get into it, it does not simply come to you, you need to dig in. Then you will discover the depth one has occasionally wished for in previous songs. Whereas SHE was extremely straightforward and direct, Unfulfillment reserves the right to be mysterious and somehow incomplete, or „unfulfilled“. There are twelve songs, a journey between rock, melodic rock, poprock and prog. Fans and friends of Ray's music will have very different impressions from this album, and that is where the record shows its true quality. The first runthrough will leave many listeners confused. 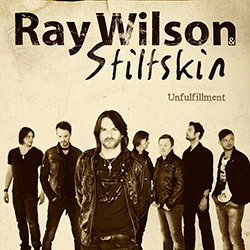 It takes some time to get the album, which is also because of the string section who add important elements even in rockier songs and make sure that Unfulfillment sounds unlike anything Ray Wilson has released before. You cannot under-appreciate the input Philipp Thimm, Peter Hoff and Uwe Metzler provided – but it is also Ray's musical development that made Unfulfillment possible. It is another big step for Ray as a whole and a big leap ahead for him as a songwriter and producer. 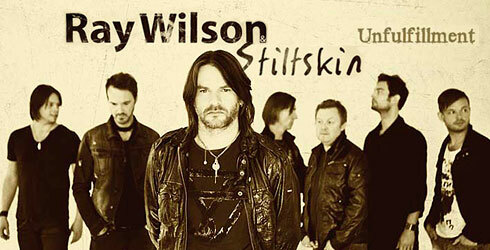 In the interview with us Ray Wilson revealed that there will be so-called Midnight Mixes of four songs from the album. They are sparse versions that include only acoustic guitars, piano and string arrangements. These special versions were created for various online sales points where you can download the new album and the mixes as Special Editions. First Day Of Change is an obvious candidate for such a treatment. The song is even more intense without the drums and the electric guitars, but also still big and majestic. More Than Just A Memory is quite different. The original version sounds groovy and relaxed, whereas the Midnight Mix turns the song nearly into an ambient track. Ray's vocals are brilliant, one could say that this mix (and the First Day Of Change mix) really reveals how good Ray sings. Tale From A Small Town is another field day for a Midnight Mix. Ray's singing really stands out here as more facets of his vocals appear. It is difficult to compare this version with the reduced version he has played so far on his live shows. Here, the strings are more dominant. The acoustic guitar comes much more to the front on The 7th Day than on the other songs. The mood of this mix is quite different again from the album version, though less decisively so than in the other songs. The Midnight Mixes are produced in a very interesting way. It would be quite exciting to hear other songs of the album in this style. Apart from the digital download the album will be distributed in the traditional way, i.e. as a CD. 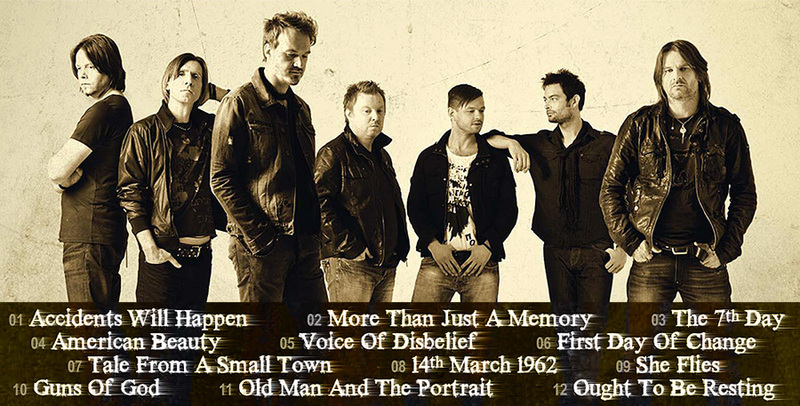 The CD contains the twelve songs mentioned above, but no bonus tracks. The album can be bought directly from Ray, either at his website or at his live shows. 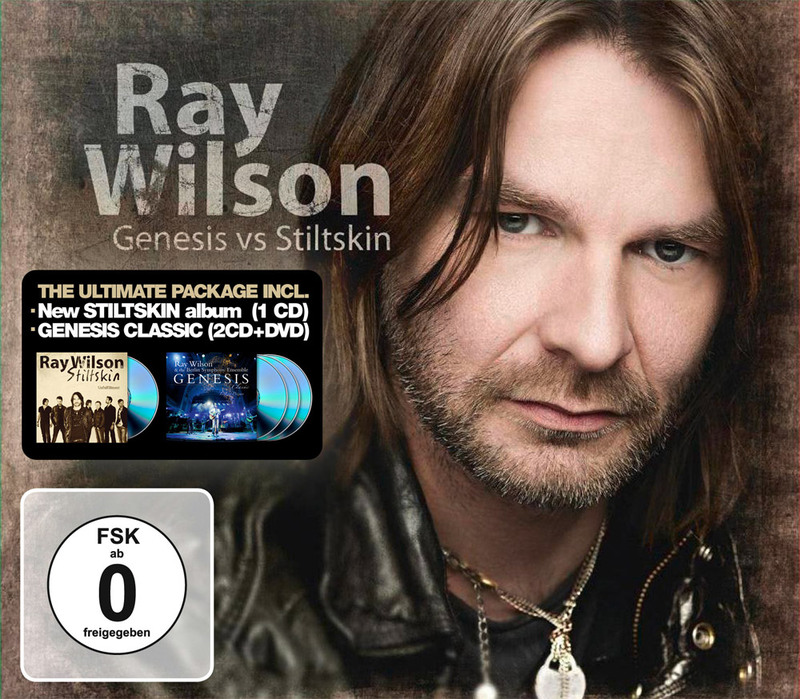 Unfulfillment will also be available from regular points of sale, but only as the Genesis vs. Stiltskin bundle that also contains Genesis Classic: Live In Poznan. 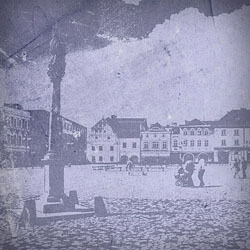 The Poznan live album contains 2CD and one DVD that capture the show he played there in December 2010 with his live band and the Berlin Symphony Ensemble. The set contains mainly Genesis songs that are upgraded with classical arrangementy by the Berlin Symphony Ensemble. In the track list are, amongst other, Not About Us, Carpet Crawlers, No Son Of Mine, Ripples, Congo, Calling All Stations, Turn It On Again and Another Cup Of Coffee. This 3CD/DVD bundle will be available at a specially reduced price in an effort to make an impact in the charts. It is therefore only available from retailers that report their sales numbers for the creation of the charts, as buying it from Ray's website or the merchandising stand does not make a positive impact on the charts position.